The new 55,000 sq. 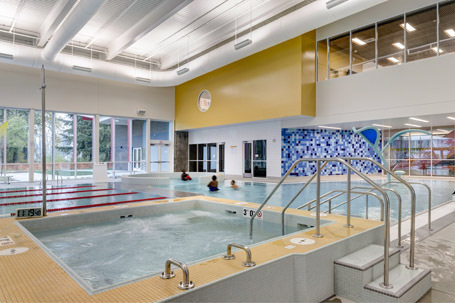 ft. Eastside Community Center offers a multi-use gymnasium, a social hall, meeting rooms, a culinary kitchen, a weight room aquatics area, and cardio-fitness areas. 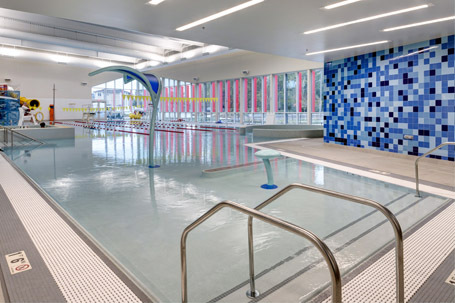 The new community center was made possible by a partnership between Metro Parks Tacoma, the City of Tacoma, Tacoma Public Schools, Tacoma Housing Authority, the Boys & Girls Clubs of South Puget Sound, the Greater Metro Parks Foundation, and the Billy Ray Shirley III Foundation. The center is expected to attract as many as 350,000 users annually, including 200 youngsters each weekday through programs of the Boys & Girls Clubs of South Puget Sound. 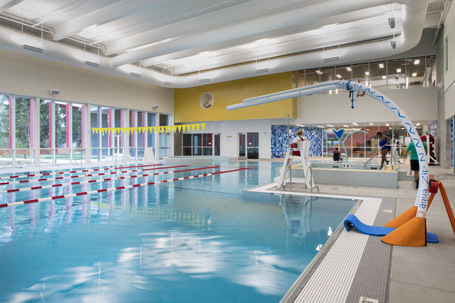 Programs and activities that were offered at the old pool will be offered at the new pool, including swim lessons, recreation swim, lap swim, water exercise, and pool parties. The 55,000 sq. ft facility received LEED Silver certification under the Leadership in Energy and Environmental Design (LEED) program.